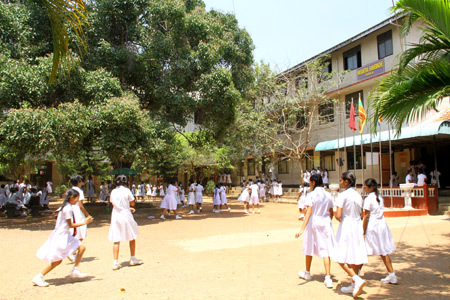 Samudradevi Balika Vidyalaya in Nugegoda will celebrate its centenary year on May 5, 2015. The old girls, teachers, parents led by the principal Mrs. Renuka Jayawardena will celebrate the centenary year on a grand scale. 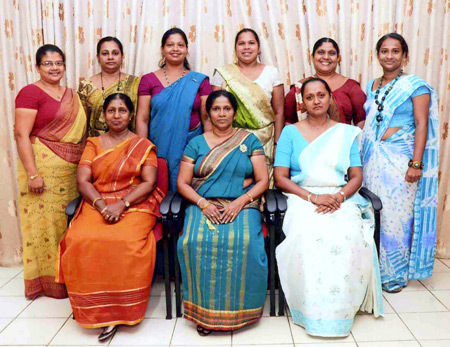 A variety show "Samuduru Devsara" will be held on April 4 (Friday) where the old girls of the school and present teachers, will showcase their talents. There will be two shows on that day at the National Youth Services auditorium in Maharagama. The first will be at 2.30 p.m for schoolchildren and the 6.30 p.m show will be open to the public. The age range of those who will perform at this show is between 20 to 70 years, said Mrs. Jayawardena. She said that well-known personalities, old girls of the school, Neranjala Sarojini, Damitha Abeyrathne, Rupa Indumathi, Inoka Wijayangani are expected to perform. Many more representing different walks of life such as author Samanmalee Padmakumara, Assistant Superintendent of Police Demathi Periyapperuma and Sri Lanka Administrative Officer Sandya Wijayabandara would contribute to the Show. "Samuduru Devsara" show which features over 20 acts includes traditional dances, Western dances, Classics, Spanish (local and foreign), drama, Bharatha Natyam, Hindi and Tamil dances and songs. Mrs Jayawardena and officials of the Old Girls' Association (OGA) said that the main aim of the show was to raise funds to build a three story aesthetic complex for the school as the students have shown exceptional aesthetic talents. At present the students are practising at different locations which have limited space for them to move about, she said. This has made it difficult as it takes time to move from one place to another and coordination is also not an easy task for the teachers, she said. The building will have designated floors for music, dancing and drama. Students in their class rooms will not get disturbed because practice noise. The records set by students so far show that they deserve a better place. There are 3200 students and 140 teachers at present. In All Island categories 2013, the Senior Orchestra won the first place and the Junior Orchestra won the third place. They won the All Island Schools Drama competition in 2013. The students won the first place in the All Island Schools Tower Hall drama competition, the previous year. They won the first place again in the same year for their production "Muhudulihini" in the All Island Schools competition. S.Y. Arosha Wickremasinghe is team member of the World Carrom championship. The students have excelled in netball, volleyball, swimming, athletics and karate. Mrs. Jayawardena said that the students performed well in their studies as well. As an example she said that 94.95% of the 2012 Advanced level Commerce Stream students passed the exam. Grade 5 students have continued to do well in the scholarship examination. The results have shown a increase of 21.53% by 2013. They appreciated the work done by the present Principal Mrs. Jayawardena who was appointed on 28 February 2013. The OGA members say that the Principal has been the driving force behind all their activities and was able to draw in a large number of past pupils to assist the school in several ways although she was appointed only an year ago. The principal and OGA members call on past students to come and join them to develop the school. It does not matter whether one is a member of the OGA or not, what we need is the participation in these events running from this 99 year to the centenary year in 2015 and continuation of support beyond that year, they said. Any one will get a feeling of satisfaction, a sense of achievement and happiness when one helps out the school, which had taught and guided him or her to achieve his or her present status the principal said. She thanked especially Samanmali Padmakumara, Kanaka Nishani Abeygunawardena, Poshitha Perera, Dushyanthi Devika, Chandani Rathnayake, Muthuhari Thilakasiri, Ruchika Edirisinghe, Sandamali Perera, Sunetha Manamperi and OGA for their commitment to make these events a success. The school was established on 5 May 1915 with 14 students on the roll, then known as St. John's English Medium Mixed School. The founder principal was Rev. Fr. J.H. Wickramanayake. The Boy's section was separated in 1934 and the government took over in 1960. The school was renamed "Samudradevi Balika Vidyalaya" on 1 January 1965. Mrs. Padmini Fonseka was the first Principal under the new banner and it was during her tenure that the school song was composed by Sri Chandraratne Manawasinghe and also it was during this period the school motto "Be light to yourself" (Aththa Deepa Viharatha) was introduced. Mrs. Jayawardena said that she was grateful to all those past principals, teachers, parents, students and well-wishers who have immensely to develop the school. 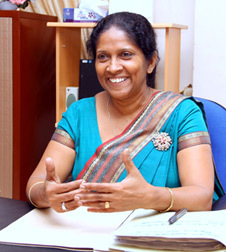 Mrs Jayawardena appeals to all the past pupils to come back to school irrespective of any differences and help to further develop it so that present and future generations of students would benefit. Past pupils could contact the OGA on 0115710996 or the Organising Committee on 0713105278.